With 1.6 million new homes needing to be built, 1.5 million jobs created and public transport needing to increase by 80% it seems Melbourne is set to become an investors dream. Melbourne’s population is soaring to extremes, looking to bypass Sydney as the most populated capital by 2030. With 4.7 million people currently drawn to the lifestyle in the world’s most liveable city, there is no sign of slowing down. The rise in the ageing population, the steady birth rate and migration both domestically and overseas has contributed to Melbourne’s population predicted to skyrocket past five million by 2021. International students seem to be strongly associated to the population surge, with more than 550,000 living and studying in Melbourne, likely to stay until education has finished. This calls for greater opportunities to accommodate both within the commercial and residential sectors, in order to be both sustainable and productive. The present-day debate of overcrowding in Melbourne has ignited pressure on hospitals, schools, roads and public transport, yet presents investment in Melbourne as being in high demand with guaranteed high return. 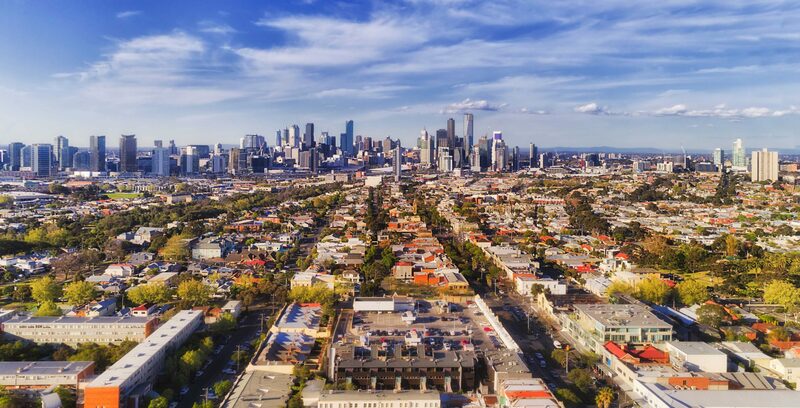 Already, impressive redevelopment along Melbourne’s urban fringe is creating urban sprawl in the west and southeast, transforming land to bustling suburbs. Strong population has encouraged the government to invest in the construction of major infrastructure projects, driving vibrant communities and residential property capital growth. Being less geographically constrained compared to Sydney, Melbourne is becoming busier and more developed in suburban areas alike Point Cook and Berwick, now covered in a sea of new houses, with 770 homes sold last year. Ariel images projecting such dramatic changes are an invaluable tool for the government and engineers to plan and maintain growth appropriately. There is the prospect of investing heavily in greater public transport infrastructure to cater for the increase in traffic. Peter McDonald, professor of Melbourne University’s School of Population and Global Health insists Melbourne’s public transport system needs to benchmark Tokyo and Paris’s standards to sufficiently counter this demand. It is safe to say the direction Melbourne took from the 2003 forecasts has been bypassed, with Melbourne being labelled ‘like a car that’s being driven too fast’. Predicted to reach eight million by 2050, it seems there will be a lot more openings to invest. While the debate continues that the city is growing too fast, there is no need to panic and shut the gate completely, it simply just needs to be closed slowly. Confidence from the government will need to be injected into the Australian public, highlighting the extensive economic, social and cultural benefits that come with the boom. To make the most of this demand, get in touch with us to investigate and discover the latest property investment opportunities in the Melbourne market.